The 2020 Porsche Taycan was spied undergoing testing on the Nürburgring. Turning nearly silent laps, the German automaker’s all-electric sedan looks very similar to the Mission E concept of 2015. Look for a debut sometime in 2018. Toyota used the 2018 Goodwood Festival of Speed for the new Supra’s dynamic debut. Powered by a turbocharged inline-6, the new Supra will share many components with the new BMW Z4. McLaren released full details regarding the 600LT sports carr. With the 3.8-liter twin-turbo V-8 producing 592 horsepower to move a mere 2,749 pounds, the 600LT is already proving to be a true weapon at the Goodwood Festival of Speed where it made its debut. The Q by Aston Martin personalization department took a 4.7-liter V-8 and seven-speed manual transmission from the previous-generation Vantage and shoved it into a tiny Cygnet. To say the creation is absurd in the best possible way would be a massive understatement. 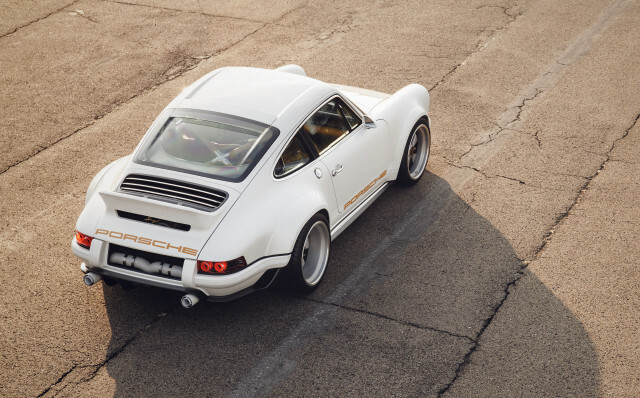 Singer and Williams Advanced Engineering used the Goodwood Festival of Speed to show its Dynamics and Lightweighting Study in the metal for the first time. Based on the 964 Porsche 911, the project used numerous techniques, some borrowed from Formula 1, to transform the air-cooled 911 into the ultimate driver’s car.